This no-cook salad, dressed with flavor-packed salsa, makes the perfect summer side dish. green pepper, large, chopped	 2 lb. 6 ea. onion, medium, chopped	 1 lb. 6 ea. 1. Stir the corn, peas, green pepper, onion and cilantro in a large bowl. Add the salsa and stir to coat. 2. Cover and refrigerate for 4 hours. Stir before serving. 3. To serve, use an 8 oz. spoodle 1 cup onto plate. CCP: Refrigerate at 41° F (5 ° C) or lower. green pepper	 2 lb. 6 ea. onion	 1 lb. 6 ea. 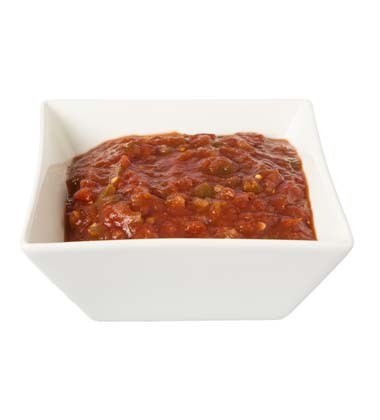 Pair with Southern Style Barbeque Chicken and 1/2 cup of orange slices for a meal under 500 calories.